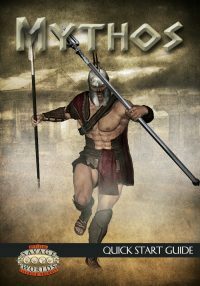 The Quick Start Guide presents a Novice-level adventure, The Argonauts’ Legend, for use with the epic action and adventure setting, Mythos, for the Entropic Gaming System. It also contains five pre-generated characters and all the mechanics necessary to use those characters with the Entropic Gaming System without the need of the core setting guide or Hero’s Handbook. 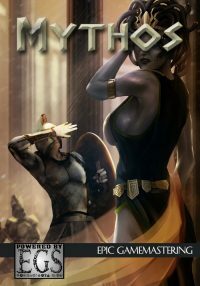 This is a great way to introduce players and GMs to the Mythos setting, along with providing current fans with a full adventure module. The mighty hero Jason is preparing to set sails on the ship Argo, but Poseidon is preventing him from doing so. The only solution is to seek the aid of Orpheus to appease Poseidon and the dangerous waves to allow the ship to leave port. However, Orpheus is in Hades’s Realm, and it’s up to the heroic PCs to delve into the underground and bring him back. Getting there may be the easy part; getting out may not be so easy.